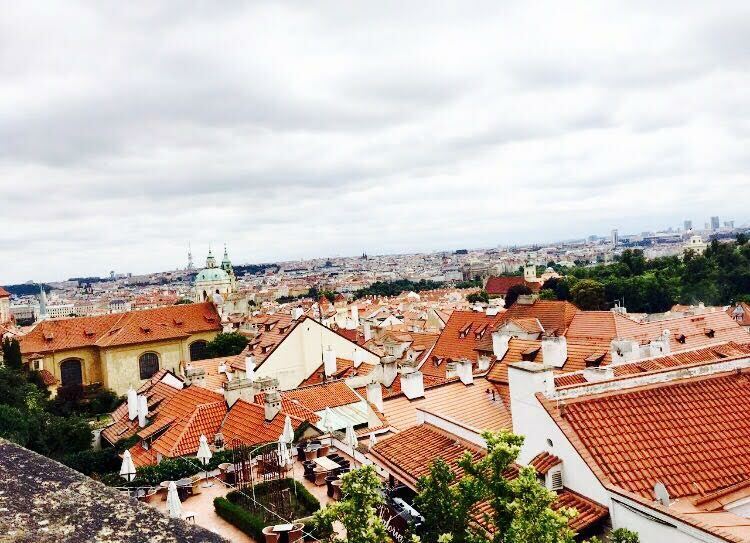 Prague is one of the best examples of how to embrace modernity and yet retain your heritage. It is a chic city with soul. To beat the stressful schedule of fashion industry where it takes endless planning for even a single creation, I needed a break. But I was clear that this short break should not only rejuvenate me but also inspire me with ideas for my next collection. 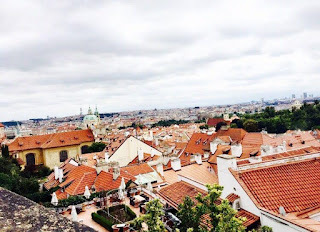 I was shuffling between Athens and Prague as the places to seek inspiration from. I had a Schengen visa and had the long Independence Day weekend coming up. I thought of using it to my best. My friend and I searched for tickets to Athens and Prague and finally opted for Prague. 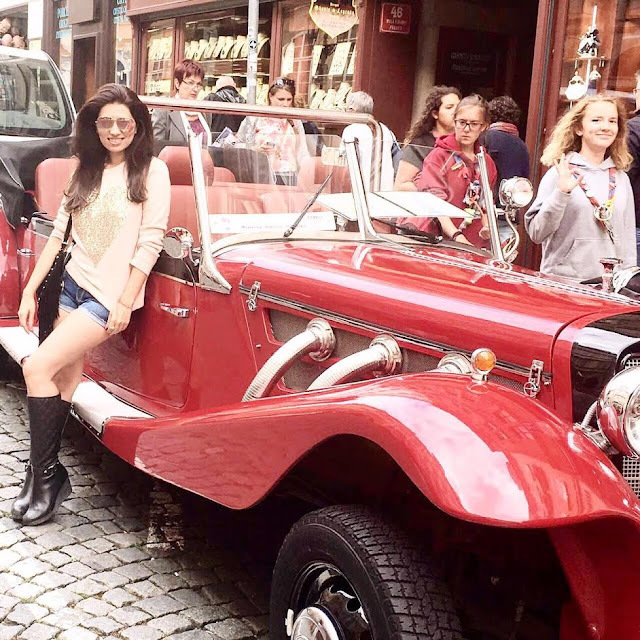 So, two girls booked with Turkish Airlines with a stopover at Istanbul were all set for short Prague break. Soaking in the vibe enroute Charles Bridge. Old Town Square carriage rides. We reached Prague in 10 hours including the halt. It was around noon there. Our hotel was next to river Vltava. This beautiful river running along the Bohemian Forest is the main waterway of Prague and among the most prominent tourist spots of the city. The location of hotel and the beautiful views on offer instantly recharged us for the day ahead. After checking in, stretching our limbs and fully perked up for Prague, we decided to head out and explore the city. We walked around the river that was dotted with restaurants and bars. We enjoyed a pleasant walk in a beautiful weather till the famous and historic Charles Bridge. This bridge over Vltava connects city’s Old Town and Prague Castle. The river and bridge are hailed as must visit spots in Prague. Ticking them off the list within hours of arriving was indeed an achievement. After a late lunch, we walked further along the river to reach Nove Mesto or The New Town. This is one area where you see modernity coexist with tradition. This area exemplified the care with which Prague restored its history while embracing modernity. Admiring museums, restaurants, bars, bakeries and historical structures together on Na Prikope Street did satiate the appetite of a creative person seeking ideas. The luxurious shops on this street are a real treat. We nibbled on our way and I must add here that despite being a vegetarian I had ample of options to munch on. After being treated to gorgeous views we decided to walk back and let the city sink in by admiring the river, the bridge and the sights again on our way back. Prague is a stylish city. Its fashion sense is next to none. The city’s effect was already rubbing off on us. We decided to be at our fashionable best. 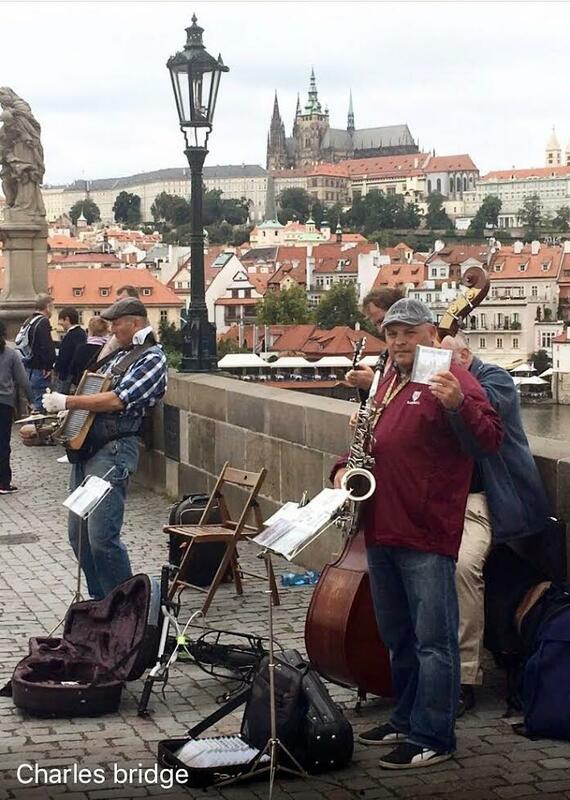 We walked till Charles Bridge again and found painters, musicians, hair dressers and street artistes regaling tourists with their craft. I collected a painting of the bridge as a souvenir that proudly adorns my showroom now. My friend is a big foodie. She loves trying local flavours and opted for a kebab pizza that was selling like hot cakes there while I had ginger bread. From the bridge we decided to go to The Prague Castle. While I opted to walk my friend chose the Segway ride till the castle. Every step of this over kilometer uphill walk remains one of the fondest memories of Prague. We decided to stop at Starbucks café at the top of the hill just before the palace. While our idea was just to grab a quick coffee, little did we realise that the café actually offered one of the best views of the city. As luck would have it, our visit was timed perfectly to catch the marching procession of soldier outside the castle. On our way back from the castle we saw brides in shining white gowns posing with their smartly dressed grooms on Charles Bridge. On our way back we stopped at St. Nicholas Church and stopped to say a silent prayer. To be able to see so much within such a short span of time was indeed a blessing. Mala Strana area had amazing vintage cars parked. Be prepared for people photobombing your images. But it is all in good spirit so no one minds. After eventful and mesmerizing first two days we decided to relax on third day. I started the day late with chai and ginger bread in my bed while admiring the picturesque Vltava from our room. 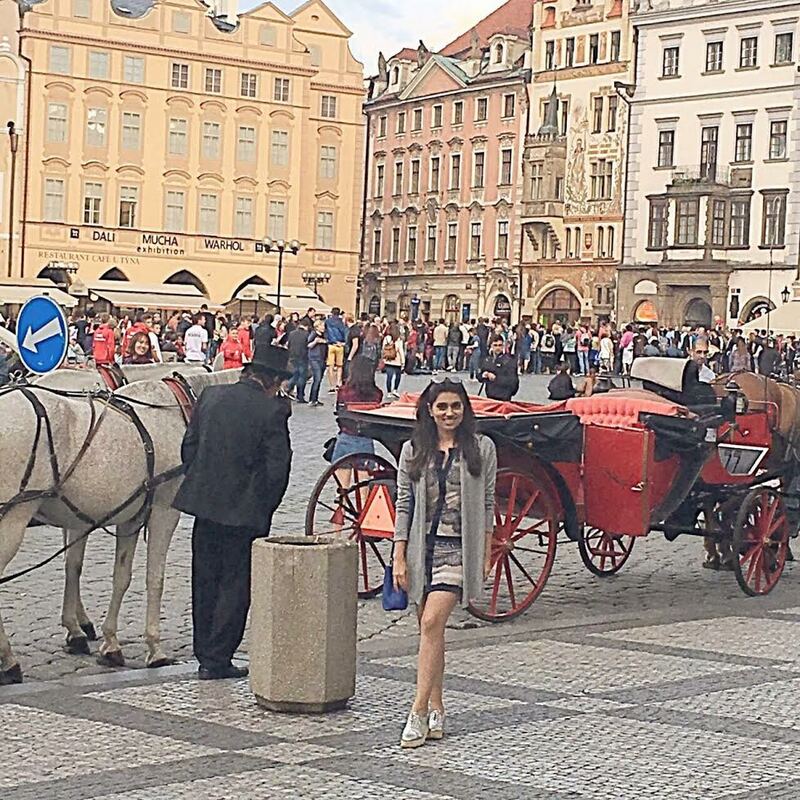 Around noon we opted for a leisurely stroll till Wenceslas Square — one of the main city squares and a hub of Prague. While the area had some of the best high street fashion brand outlets, the most prominent among them was our very own Bata! The square also has some of the most vibrant bars, nightclubs and hotels. We tried the Bombay Bar. The scene here was hep and chic. I must add here though that the nightlife scene of Prague is as unique as the city itself. Don’t go expecting a Vegas night out where you party till the wee hours. Let your fashion style be edgy and chic and overdressing is a big NO. This was a day of spa for the girls. We walked till Florence Bus Station to catch a bus to Karlovy Vary — a spa town in Western Bohemia. A two hour drive took us to this amazing and most visited spa town known for its hot springs. It is any girl’s dream town that boasts of some of the best spa therapies in the world. My friend opted for a beer spa while enjoyed an oxygen spa. It was indeed a relaxing and rejuvenating experience. We headed back and reached Prague in evening. Since it was our last night in Prague, my friend suggested living it up on a Jazz Boat enjoying rock and jazz music. We enjoyed ourselves to the hilt swooning to heady beats and cooling our heels in river. The music, the meal and unmatched ambience made for a memorable nigh out. We had half a day to ourselves as we had to catch flight back to New Delhi. 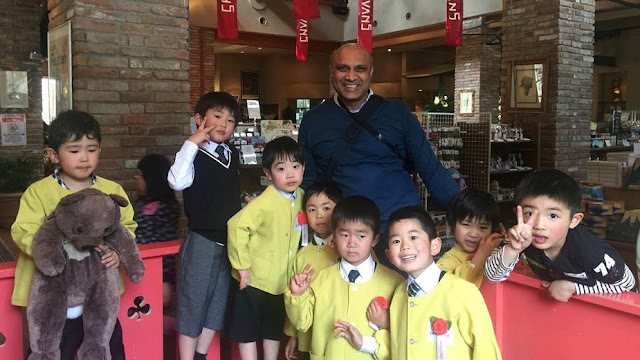 The trip had turned out to be a treasure trove of fond experiences. We could pack in so much on our own was indeed satisfying for both of us. We opted to laze around at a park nearby and fondly remember each day we spent in this Czech wonder. You can use both Czech currency and Euro in Prague. Nikhita Tandon is a well known New Delhi based fashion designer. She is known for unique Indian and western wear. She usually travels to seek inspiration for latest collections of her label Nikhita.